After working together for the movies like 'Thuruppu Gulan', 'Ee Pattanathil Bhootham' and 'Thappana', filmmaker Johny Antony and megastar Mammootty would yet again unite for an interesting project which will be exclusively set against the backdrops of Dubai. Titled 'Dance Dance', the movie will be an out-and-out comedy entertainer. Scripted by Rajesh Nair, the movie zooms into the life of a bar bouncer. The movie will be produced by Anand Kumar. Johny Antony's last outing 'Bhaiya Bhaiya' was a dud in the box office. But the director who has learned much from his errors would deliver a better entertainer with 'Dance Dance'. 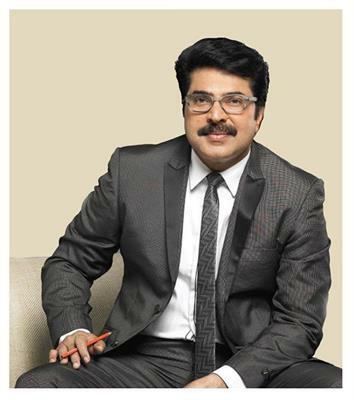 Mammootty who is treading on an experimental mode aims to bring a change in his career giving life to a bar employee. 'Thuruppu Gulan' which brought Johny Antony and Mammootty together for the first time was a box office hit. But their later ventures couldn't keep up the performance due to the lack of strong stories. Mammootty who has completed the shooting of 'Varsham' would soon join the sets of 'Pathemari' directed by Salim Ahamed. His upcoming projects include Deepu Karunakaran's 'Fire Engine', 'Rascal' directed by Siddique, 'Driving License' helmed by Jean Paul and an untitled project with Kamal. It is also known that the megastar will join hands with some passionate newcomers too. 'Rascal' will go on floor in December with plans to reach theatres by next Vishu. Mammootty will produce the movie under his own production unit Play House release. Meanwhile his upcoming project 'Fire Engine' helmed by Deepu Karunakaran will be an action thriller zoom into the life of a fireman who protects the life of the villagers at a gas tanker accident. Even though most of his recent ventures couldn't deliver huge success at the box office, the actor seems to be the best choice for producers and filmmakers. The considerable star value and satellite rights of Mammootty bring the film producers close to the actor for his date.